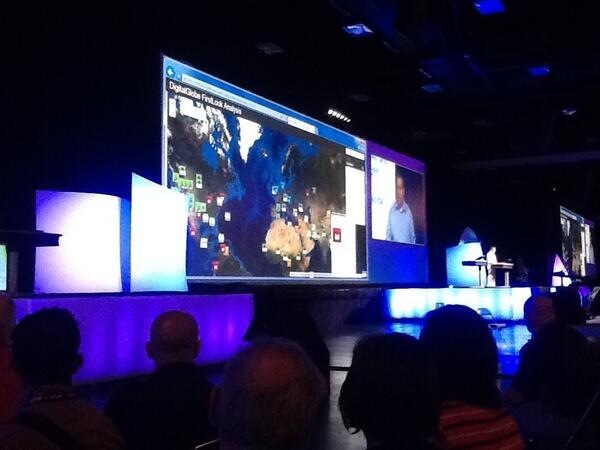 Big data and services to manage big data were among the hot topics of Esri UC 2013. Companies that provided these opportunities were in large part Esri partners. As a result of the cloud and mobile/location intelligence, we can now ingest data that previously required an enormous amount of effort to be made usable. The question still remains as to who is qualified to access the data, but data now breaks out of its previous stagnancy with the growth of technology potential. Who can use GIS now? Just about everyone. Although the federal government was not well represented at the conference because of steep cutbacks, the products and services showcased catered to the federal, state and local governments, with disaster response, emergency preparedness, intelligence and other related fields. There is not a geospatial company out there that doesn’t tailor their application/server platform to that market. 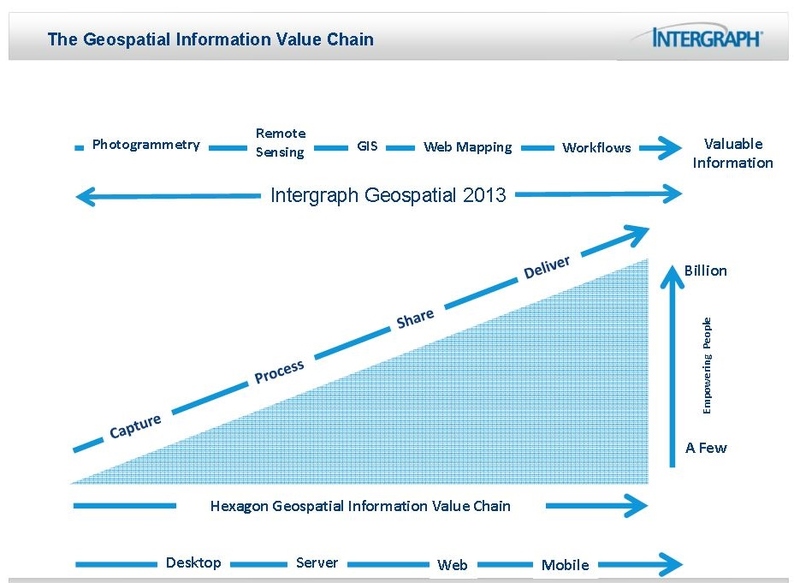 Mladen Stojic, vice president of Geospatial at Intergraph, presented at a virtual press event this week to announce the Intergraph 2013 Geospatial Portfolio.